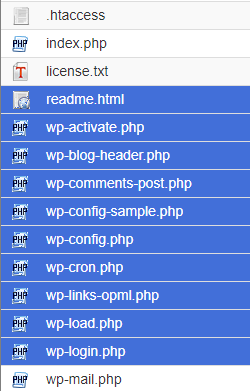 This article is used to outline how to use the "File Manager" interface to manage your websites files. When a toolbar action is not available, the function icon displays in gray. You can only use certain File Manager functions with one file at a time. Select the desired file in the file window before you attempt these actions. Any attempt to rename, edit, or view multiple files at the same time will only affect the first listed file in the directory. 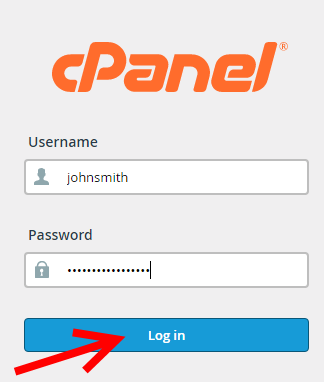 1) Login to cPanel from exacthosting.com or login to your cPanel by going to yourdomain.tld/cpanel. 2) Select the link "File Manager". 1) While on the "File Manager" page navigate to the "Settings" button in the top right corner of the page. A) These options will set your default directory for when you open "File Manager" by default this is set to open in your "/home/domain.com" directory but can be changed depending on your perference. In the example bellow we have set /public_html or /www to be the default directory depending on the system that you have setup. B) The option "Show Hidden Files (dotfiles)" will allow you to display hidden files such ".htaccess" and any other files that are made starting with a period. 1) Click "+ File" or "+ Folder" option in the File Manager toolbar in the top left corner. A new window will appear. 2) Enter the new item's name in the "New File Name:" or "New Folder Name:" text box. Enter the location in which the system will save the item in the "New file will be created in:" or "New folder will be created in:" text box. Once complete click "Create New File" or "Create New Folder". 1) To rename a folder or file, you may either left click the item's name or right click on the item and select "Rename" and enter the new name in the text box. 2) Once complete press the "Enter/Return" key to save the change. 1) Select the file in question and click "Move" in the tool bar at the top of the interface. The "Move" window will appear. Note: You can also drag a file icon into a new destination folder. 2) Enter the file path that you want to move the file to in the "Enter the file path that you want to move this file to:" text box. Once complete click the "Move File(s)" button to move the file. 1) Hold the "Shift" key to select all of the items that you wish to move. Note: The items highlighted in blue are selected to be moved. 2) Click "Move" in the tool bar at the top of the interface. The "Move" window will appear. 3) Enter the file path that you want to move the file to in the "Enter the file path that you want to move this file to:" text box. Once complete click the "Move File(s)" button to move the file. 1) Select the file you want to copy, click "Copy" from the tool bar at the top of the interface or right-click and select "Copy" from the menu. The "Copy" window will appear. 2) In the "Copy" window enter the file path to which to copy the files in the "Enter the file path that you want to copy this file to:" text box. Once complete click "Copy File(s)" to copy the file. 1) To copy several items, hold the Shift key while you select the items, click "Copy" from the tool bar at the top of the interface or right-click and select "Copy" from the menu. The "Copy" window will appear. 2) In the "Copy" window enter the file path to which to copy the files in the "Enter the file path that you want to copy these files to:" text box. Once complete click "Copy File(s)" to copy the files. 1) Select the file or folder for which to change the permissions. 2) From the toolbar, click "Permissions" or you may right click on the file/folder in question and select "Change Permissions" from the drop down. The "Change Permissions" window will appear. 3) Use the check boxes or text boxes to change the item's permissions. This setting's permissions default to 0644. Click "Change Permissions" to save your changes. 1) Select the file or folder you want to delete. 2) From the toolbar, click "Delete" or you may right click on the item and select "Delete" from the drop down list of options. The "Trash" window will appear. 3) On the "Trash" window you may select the check box that reads "Skip the trash and permanently delete the files" if you wish to permanently delete files and click "Confirm" to delete the file or folder selected. Note: When you delete files or folders, the system does not permanently delete the files unless specified by selecting the check box that reads "Skip the trash and permanently delete the files". Instead, the system moves the files to the Trash folder. Click "Empty Trash" to permanently delete the files or folders. 1) Click "View Trash" from the toolbar. 2) Select the file or folder that you want to restore. 3) Click "Restore" in the toolbar, the "Restore" window will be displayed. 4) On the restore window click on "Restore File(s)" to restore the selected file stored in your "Trash" folder. 1) From the upper toolbar select "Upload". 2) On the "File Upload" page you have the option of either dragging and dropping your files with the box provided on the webpage or you may browse your files by clicking "Select File". Note: Files are uploaded to the Directory that you were currently working in when you selected the "Upload" button which will also be displayed at the bottom of the page. 1) To download a file select the file you wish to download and either navigate to upper toolbar and select "Download" or right click on the file and select "Download" from the drop down menu. Note: Once the "Download" option is selected your chosen file will immediately be downloaded. 1) To edit a file select the file you wish to edit and either select the "Edit" option from the toolbar above or right click on the file and select "Edit" in the drop down provided. 2) Once the "Edit" windows appears accept the defaults and click "Edit" to continue. 3) On the following page make all of the general edits that you need to make to said file and once done push the buttons that reads "Save Changes" in the top right corner of the page. Right-click files or folders to select from a menu of actions that the system customizes based on the file's type. Extract the selected *.zip, *.Gz, or *.Bz2 archive and store the files in a directory. Compress the selected files or folders to a single *.zip, *.Gz, or *.Bz2 archive and store the compressed file to a specified directory. Set a username and password to restrict access to a folder. Redirect users who have shared the password to a restricted area of your site. The system will redirect accounts that exceed a set number of logins in a two hour period to a selected URL, or receive an internal server error message. Customize the way users view a directory on the web. Please Note: That while "File Manager" is a great tool to conveniently manage your files they are alternative options to manager your files like using FTP (File Transfer Protocol) using a FTP client such as FilleZilla. More information on using FTP accounts please review this article Official cPanel Documentation for FTP Account Management.